Whether it’s a relaxing holiday with a bit of fitness, or an active holiday with a bit of relaxation, it can still get a little frustrating when you’re lacking structured exercise on a day-to-day basis. Maintaining your fitness on holiday can seem a bit of a burden, but it doesn’t always have to involve gyms, hours of time or even the great outdoors. Without a doubt, hiking, running, and gym sessions are a great way to get the heart pounding; however, you’re not always guaranteed those luxuries. Just because you've spent the day hiking New Zealand's Franz Josef glacier, doesn't mean you can't fit in some more exercise, reckons Ross! 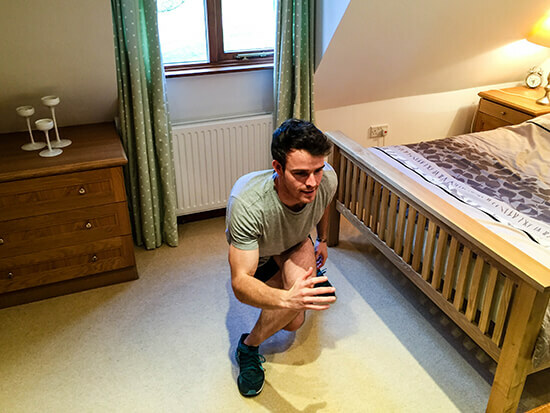 Disappointed with my lack of exercise on a number of trips earlier this year, I decided to put together a few routines that I could do in small hotel rooms and in a short space of time. The main thought process behind this was to combat my usual excuses of “I don’t have enough space” or “I don’t have enough time” or even… “I’m a little bit embarrassed to be exercising in a foreign country in front of other people”. So far I’ve tested them out in a hotel room in Old Delhi, a studio flat in Berlin and a small eco-hotel on the Costa Rican coast, and it’s safe to say they’ve definitely kept me feeling fit on holiday. 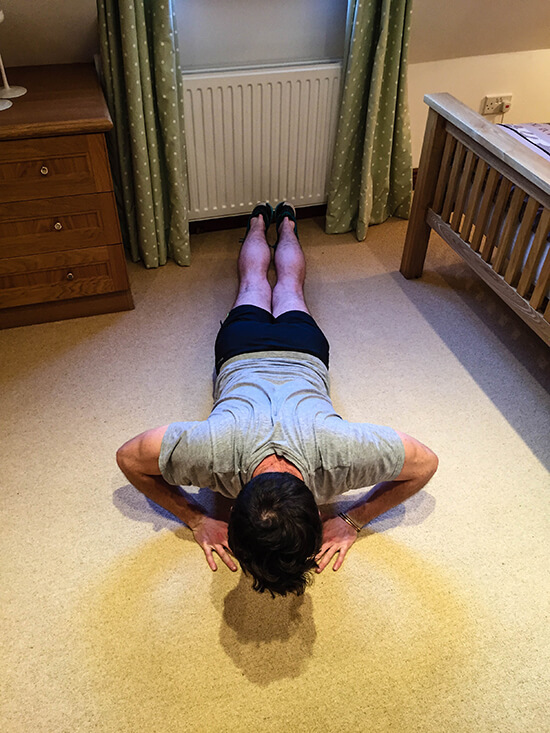 Obviously if you have an outside space that would be even better; however, if you’re keen to get a sweat on from the confines of your hotel room, try out a mixture (or all!) of the following exercises. 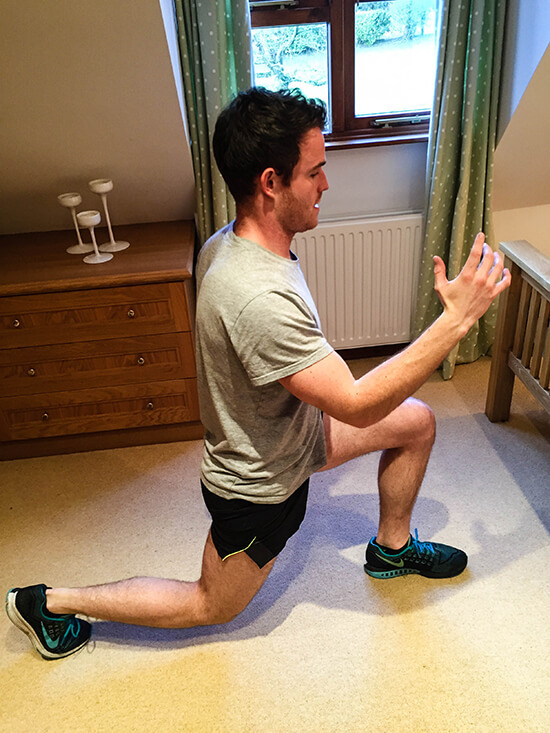 Just a heads up, if you’re new to these exercises then read the descriptions and also check out a few videos online to get the perfect form – the last thing you want to do is injure yourself abroad. 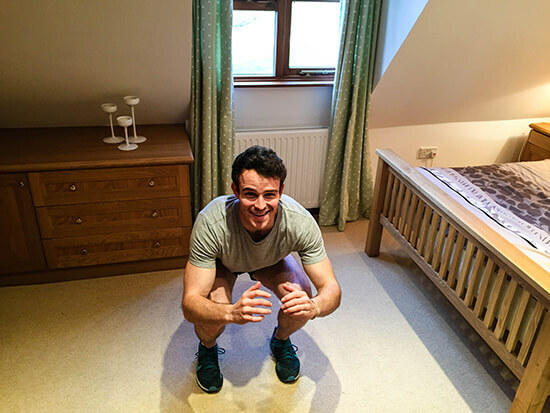 Begin standing, drop into a squat with your hands on the ground, kick your feet back, immediately return feet to squat position and then jump up. Even if your ceiling isn’t that high, it’s still manageable with a small hop, and if you’re properly exerting yourself, you’ll be sweating in no time! Begin lying flat and face down on the ground, place your hands under your chest (so that your thumbs and index fingers form a diamond shape) and push up, keeping your back and legs straight. 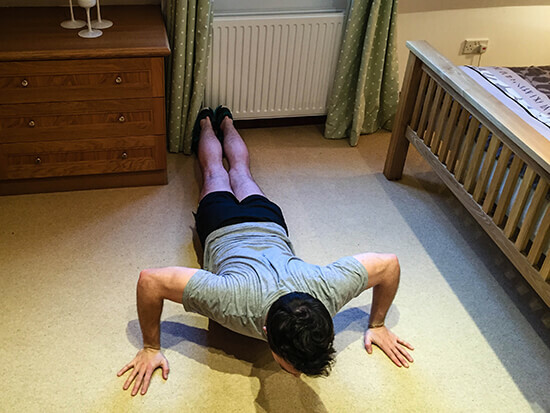 If you hate a press-up (or find them hard) then drop your knees to the floor and you’ll find them a lot easier. Begin in a lunge position with you right leg forward, jump up and swap legs so that your left leg is now facing forward. Great for the glutes and it’s exhausting! 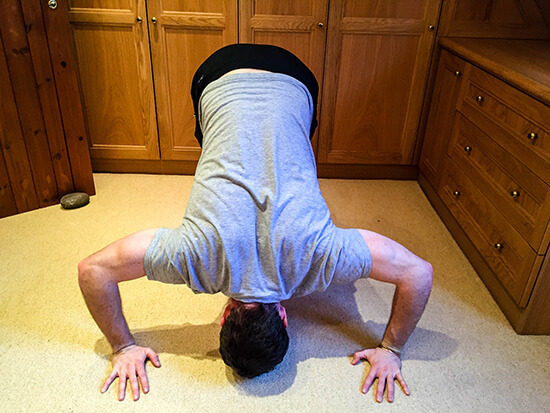 Start in a press-up position with your arms about a metre apart on the ground above your head, then walk your legs forward so that your bum is facing the air and your back and legs are at 90 degrees, before lowering your head to the ground. Great for shoulders and upper body. Begin lying face down and flat on the ground, set your hands half a foot either side of your chest and push up, keeping your back and legs straight. Again, drop your knees to the ground if you’re finding it difficult. Lie on your belly with your arms stretched out in front. Raise your left arm and right leg, lower them, then raise your right arm and left leg. This really gets your lower back and is surprisingly tiring. Begin standing. Cross your right leg behind your left leg into a backwards lunge, then drive upwards with a slight hop onto the right leg and cross your left leg behind your right. To make it a little easier, you can remove the hop when switching legs! 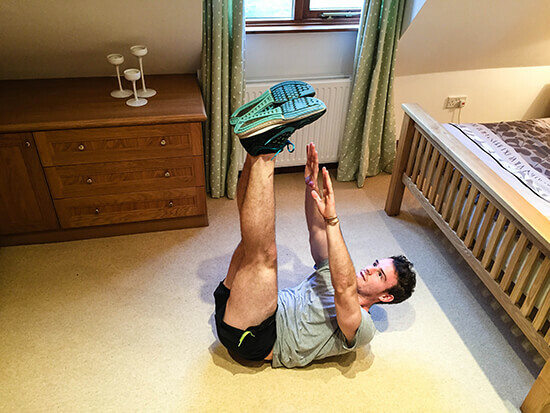 No work-out is complete without a decent ab exercise. Whether it’s crunches, full sit-ups or the plank, something to work your core is always necessary. I’d definitely recommend either leg dips or raised leg crunches. Depending on your level of fitness, try 10-18 reps (repetitions) for each exercise. When you’re ready to up your game, do them one after each other, rest for one minute, then start again (aim for at least three sets in total!). Always remember to warm up, cool down and stretch. And, most importantly, don’t forget to make the most of any activities on offer throughout your holiday – whether that be a horse-ride on a USA ranch, a glacier hike in New Zealand, or a bike ride in Australia. 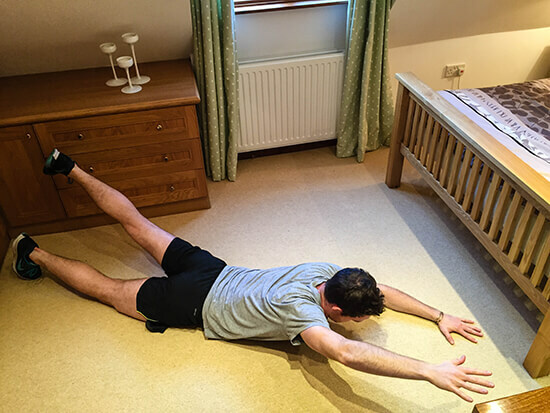 Need help finding the right size hotel room for your fitness needs? Speak to one of our Travel Experts about booking a holiday to suit you today.